ASUS are a big name within the technology sector, producing things like mobile phones, routers, monitors and motherboards. Some of these products come under ASUS’ elite brand, Republic of Gamers, one of which we take a look at today. On an almost weekly basis we look at different all-in-one watercooling loops, some with RGB, some without, but nothing quite like the Ryujin we have here. Starting with the radiator, ASUS, instead of going through the painstaking cost and effort of developing a 120mm fan, they’ve instead relied on the world-renowned expertise of Noctua and used their iPPC fans, with the i standing for Industrial. The pump housing plays residence to a pump-mounted fan, blowing air around the surrounding components for improved cooling. 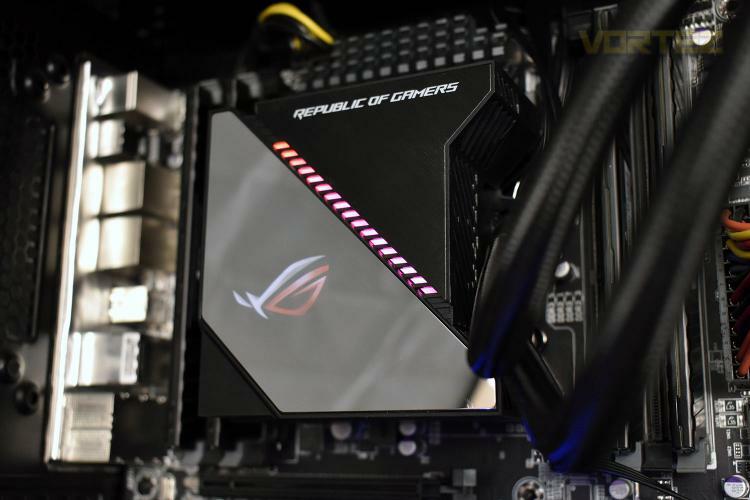 Not only that, ASUS ROG, not wanting to be out-RGB’d by competitors, have implemented a 1.77” full-colour OLED display onto the waterblock as well as an addressable RGB strip. These features, as you might have guessed, don’t come for free, with the Ryujin 240 asking almost £190 in the UK ($220 in the US and $380 in Australia), making this the most expensive CPU cooler we’ve tested, but is it worth it? Let’s take a look.